Workplace bullying is experienced by more than one third of the US workforce, which is not insignificant. 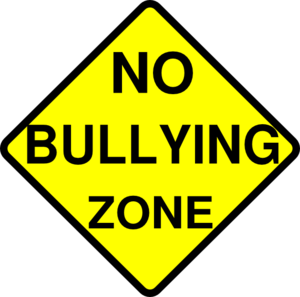 The serious mental, physical and emotional ramifications of persistent bullying affect not only the individual who is bullied but also his/her family members, friends and colleagues. Bullying brings down morale and productivity in the workplace – so why does it persist? Responses to these revelations might be expected in our culture. On the one hand, there was outrage that workers could be treated so abominably. But on the other hand, many observers suggested that unhappy workers just quit and find another job. The lack of understanding of the impact of these behaviors and the unrealistic and callous nature of the proposed solution, in light of the dearth of good jobs in certain areas of our country, show the depth of our social dysfunction – and part of the reason that bullying persists. While bullying per se was not mentioned in the Amazon or Gallup articles, the behaviors described point directly to bullying behavior. Is it not high time to address this blight in our midst? There is movement in the US toward implementing anti-bullying laws, and the proposals warrant our support. The Workplace Bullying Institute “began the push to enact anti-bullying laws state-by-state for the workplace in 2001 thanks to Suffolk University Professor of Law David Yamada who drafted the text of the Healthy Workplace Bill. The original bill grew out of his seminal legal treatise on workplace bullying and the need for ‘status-blind harassment’ laws.” Check out the basics of the bill and the reasons we need it. Throughout the US, anti-bullying bills are making their ways through state legislatures. Thirty-one legislatures, including 29 states, have now introduced some kind of legislation. Contact your legislators and encourage passage! Don’t we owe a more humane workplace to our children and grandchildren?